TOURIST PROGRAM: "Visit of Callejón de Huaylas"
ECONOMIC PROGRAMS OF TOURS IN HUARAZ 3 DAYS – 2 NIGHTS, specialized in the Tours and Vacations in Peru, operators have a team of professional work experience in the field of Conventional Tourism, whose main objective is to provide quality, safety and warranty on all of our services, in this way, meet the expectations and demands of the customer. We will help you to organize your Tours program in bus, conventional Tours, Trekking, Climbing, hiking, climbing in the Cordillera Blanca and Huayhuash ice as well as in Cusco - Arequipa - Puno - Huaraz, Peru. * Starting point of the Tours : Huaraz. * Places to visit : Huascaran National Park. * Type : Adventure, High mountain tourism. * Condiciones de Tours : de 01 a mas Personas. 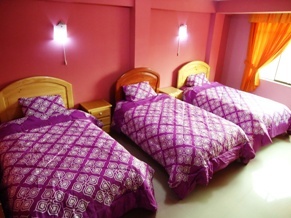 DURATION: : 3 DAYS / 2 NIGHTS LODGING * GROUP SERVICE. 1ST DAY: : LAKE LLANGANUCO – HUAYLAS ALLEY (9 hrs) (Group service). 6:00 am. Pick up and transfer to the hotel. 9:00 am. Pick up from the place of accommodation, excursion of unique beauty of the Huaylas Alley, passing through the thermal springs of Monterrey, the villages of Carhuaz, Mancos, Ranrahirca, and Campo Santo of Yungay, Lake of Llanganuco, the villages of Yungay, Caraz and the artisanal center of Taricá. In the Lake of Chinancocha (Llanganuco) can you make a boat ride along the edge of the lake and enjoy the amazing flora and appreciate the green/turquoise color, this beautiful lake has. Afterwards return to Yungay and Caraz. 2:00 pm. Lunch at the restaurant “Turístico”. Later we will be visiting the famous factories of “Manjar Blanco” and the Square of Caraz "Dulzura". From there we will return to the city of Huaraz and on the way we will visit the famous artisanal center of Taricá, where you can buy crafts of a great variety (clay, textile, leather, wood) – Huaraz. Recommendation: Wear warm clothes and carry a jacket for the lake Llanganuco. Mosquito repellent. 2ND DAY : CHAVIN DE HUANTAR – LAKE OF QUEROCOCHA ( 9 hrs ) ( Group service ). 9:00 am. Cultural trip and diversion in the Alley of Conchucos, visiting the villages of Recuay, Ticapampa, Cátac, Lake of Querococha, the geological fault of the Peruvian map, Cahuish Tunnel, the villages of Macháč, Chavin and the archaeological monument of the millenium culture Chavin. Guided tour, lasting 2:30hrs. Afterwards free time to explore the archaeological remains. 2:00 pm. Lunch at a restaurant in Chavin. Return to the city of Huaraz. 3RD DAY : MOUNTAIN OF PASTORURI – PUYAS OF RAIMONDI ( 7 hrs ) ( Group service ). 09:00 am. Continuing our tours: This day tour will visit a memorable adventure in the snow on the south of the Alleys of Huaylas, we will visit the villages of Recuay, Ticapampa, Cátac, lake of Patococha, the carbonated waters of Pumapampa, the “water eye” of Pumapashimi, Puya Raimondi (the finest exponents of the high mountain plants), the amazing cave art paintings and Mountain Pastoruri, where we can see the caves of ice and the ice lake. After this we will return to Huaraz. 02:00 pm. 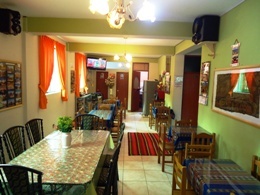 We will have lunch at a restaurant in Catac or Ticapampa. 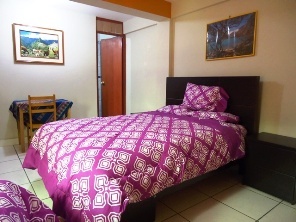 Recommendation: Wear warm clothes, jacket and trousers, shoes with good bed, gloves, hat, sunglasses, sun cream – If you need something you can rent or buy it in Huaraz. Return to the City of Lima (10.30 PM) – Arrival in Lima at 6 am at the next day. 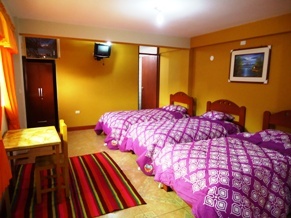 - Pick up from the bus station to the hotel in Huaraz. - Tour: Lake Llanganuco + Alley of Huaylas. 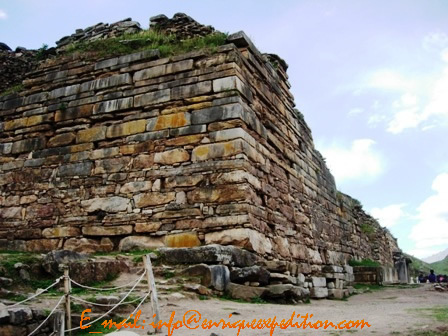 - Tour: Temple of Chavin de Huantar. - Pick up from the hostel for the tours. - Entrance fee of touristic places. - Professional tourist guide on all the tour. 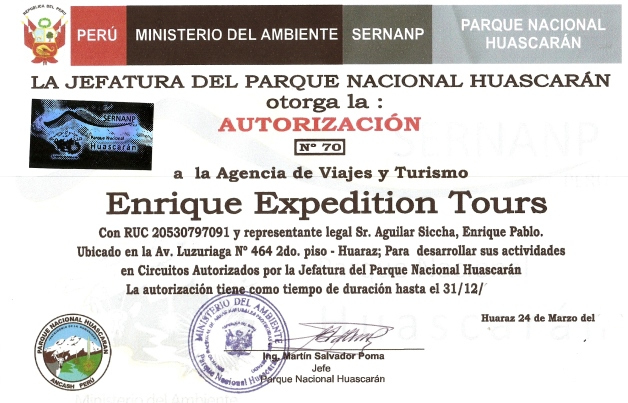 - Assistance by “Enrique Expeditions Tours EIRL” in Huaraz. - Tourist Lunch S /. 15.- per person. - Dinner in Huaraz S /. 10.- per person. - Boat Ride S /. 5.- per person. - Horseback Riding S /. 10.- per person. * If you want the service of the Semi Cama bus ticket, you have an additional price to the S /. 130. 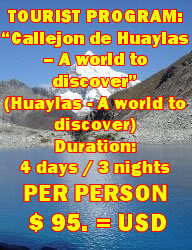 = company "Oltursa"
We can also organize your Tours Program in Huaraz with the Services of the Next Hotels. 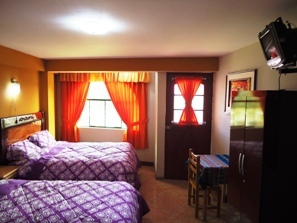 - Hostel Country "MARIAN INN"
- The reservation of the following program is made with a deposit of 40% of the total price and 60% need to be paid upon your arrival of you to Huaraz. - The money of the reservation will be deposited in a bank account of our travel and tourism agency. - After our company, "Enrique Expedition Tours" confirms your reservation deposit we will be sending via e-mail a voucher of the reservation confirmation, where we explain all the details of the itinerary follow upon your arrival to Huaraz. - This voucher can be exchanged for a ticket or part of the payment in the case of cancellation of the service. 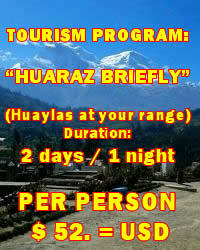 - The reservation is made 30 days before your arrival to Huaraz. 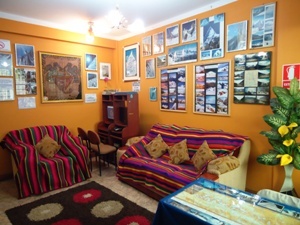 - Information: As our travel agency is located in Huaraz, we do not have an office in Lima. 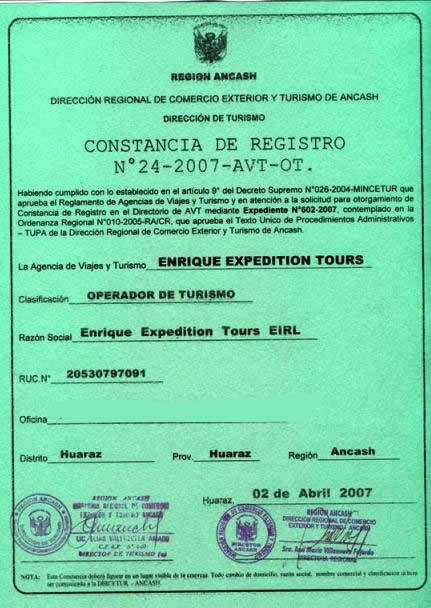 We are registered in the Ministry of Tourism and the Sunat, our number of Ruc is 20530797091 "Enrique Expedition Tours EIRL ". - Please note that these prices do not apply in the week of Pentecoast and celebration days. - The price of the program is per person. - The prices are in Nuevos Soles. - To pay in Dollar you need to use the exchange rate of the operation day. - The prices are applicable for groups of adults (every 15th person – 1 person for free). 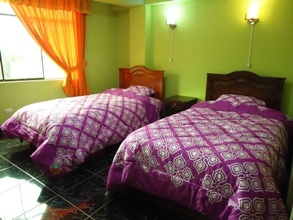 - The price of children (5-10 years) is with additional bed. - The price of children without bed (1-4 years), shared with adults. - Time of departure of tours: Between 9 to 10 am. - The tours could be exchanged in between the days, depending on the weather, to enjoy the best conditions. -The company reserves the right to change the vehicle, according to the number of people who take part in the tour. - The bus Lima-Huaraz-Lima is supposed to make stops at: Terminals, Control Ministry of Transport and police. - HOTEL ATTENTION: 12 AM TO 12 AM. - Shawls and woolen gloves. - Thermal bottle for coca tea. - Winter and waterproof jacket. - Sunscreen (lips and skin). - Toilet bag and towel. - Rubber sandals (for taking showers/ crossing rivers/ taking a bath). - Bag with personal documents and money. 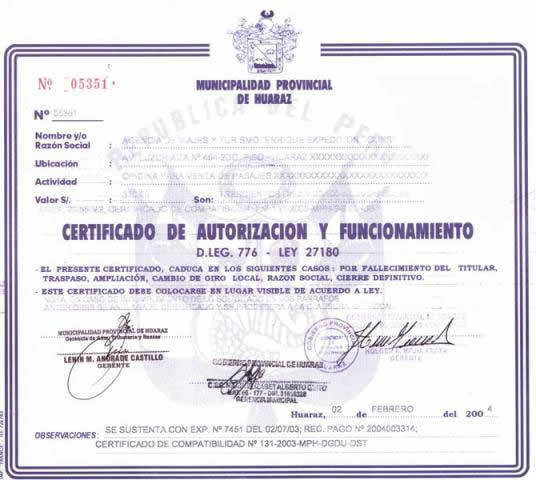 HOSTEL ** INCLUDED IN THE HOSTEL "WAULLAC INN **"
Authorization Documents of "Enrique Expedition Tours E.I.R.L"
We present a new option for lodging in Huaraz, we are Hostal ** "Waullac Inn"
Hostal ** "Waullac Inn" is located in the district of Independencia - Huaraz, near the main tourist sites such as the recreational center of Waullac. 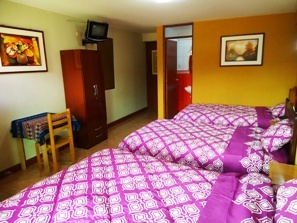 We offer rooms with TV - DVD - Cable, private bathroom with 24 hours hot water, WI FI, telephone, continental breakfast or buffet in case of groups (upon request). Complementary services like: room service, safe, hairdryer on request, luggage storage = storage, cafeteria restaurant, 24 hour internet, laundry, currency exchange. Professional and personal service to all our guests and customers. 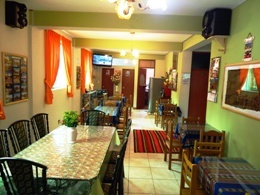 All these dishes are prepared by experts and to the pleasure of the customer. - Ice climbing in the Valley of Ravine Llaca. - Mountain Biking (Circuit Waullac - Marian - Wilcahuain). * City Tour - Thermal Baths of Monterrey. * Tours to Chavin – Lake Querococha. * Tours to Mountain Pastoruri – Puya Raimondi. * Tours to Honcopampa – Thermal Baths of Chancos. * Tours to Lake Paron. * Tours to Canon of Pato. 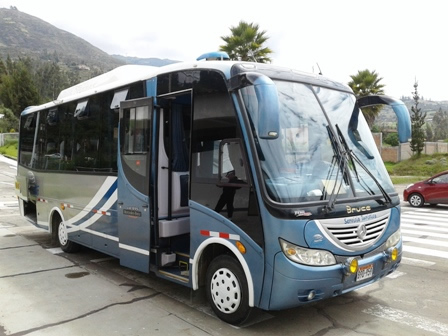 I am writing to you to formally introduce “Tourist Transportation Company Enrique Expedition Tours EIRL”, a company dedicated exclusively to the transport of passengers in the region of Chavin - Ancash – Peru – in particular, passengers of the corporative or touristic level. The service is performed by an operating system based on the highest digital technology, designed and built by our company, which enables location detection of all our vehicles, allowing optimal logistics in the provision of service, ensuring that this it is fast, safe and effective. Our Customer Care Center consists of a group of people specially trained to provide a personalized, responsive and efficient service, which is the most solid foundation to meet your needs. 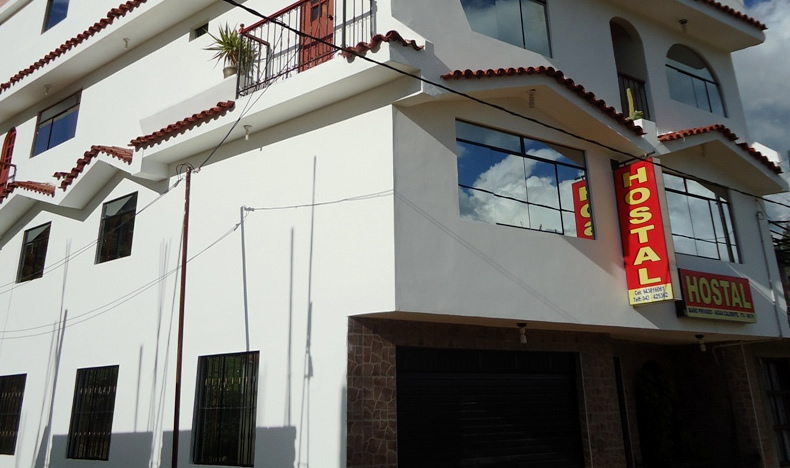 A reliable staff of professional drivers, suitably trained with respect to road knowledge in the region of Chavin, traffic laws, and customer service, are well kept as well as professionally dressed. Additionally, they professionally registered and have had training in a second language. Currently we have luxury cars and standard vehicles, yaris, van H1, combis, minibuses and buses accommodate from 4,11,15,19, 24, to 30 passengers, private transportation, freight and mini freight inform you about some of the transportations you can do in Huaraz. Tourist Transport Service Huaraz – Tour Laguna de Llanganuco. Tourist Transport Service Huaraz - Tour Chavin de Huantar. 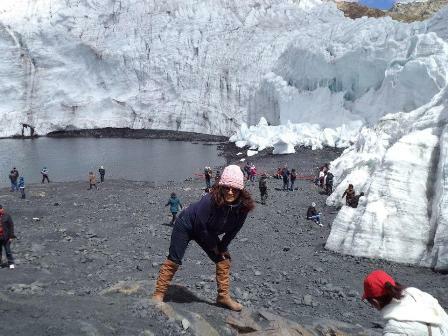 Tourist Transport Service Huaraz - Tour Nevado Pastorruri. Tourist Transport Service Huaraz - Ciudad de Caraz. Tourist Transport Service Huaraz - Cashapampa. Tourist Transport Service Huaraz - Cebollapampa. Tourist Transport Service Huaraz - Portachuelo de Llanganuco. Tourist Transport Service Huaraz - Pomabamba. Tourist Transport Service Huaraz - Vaqueria. Tourist Transport Service Huaraz - Chacas. Tourist Transport Service Huaraz - Llamac. Tourist Transport Service Huaraz - Matacancha. Tourist Transport Service Huaraz - Hualcayan. Tourist Transport Service Huaraz - Musho. Tourist Transport Service Huaraz - Parón. Tourist Transport Service Huaraz - Pitec. Tourist Transport Service Huaraz - Quilcayhuanca. Tourist Transport Service Huaraz - Punta Callan. Tourist Transport Service Huaraz - Tour Cañon del Pato. Tourist Transport Service Huaraz- Aeropuerto. Tourist Transport Service Huaraz - Olleros. Tourist Transport Service Huaraz - Puyas de Raimondi. Tourist Transport Service Huaraz - Huari. Tourist Transport Service Huaraz - Quebrada honda. The reason for this presentation is to provide a new option for transportation, that provides for your clients or executives, trust, comfort and security, plus a exceptional and personalized service. Because from this perspective these values are impossible to recognize, if not through the experience we provide, we are at your complete disposal to provide our service, or responding to your inquiry or request for quote. We would appreciate greatly the opportunity to work with you, and we look forward to hearing from you soon.